WOW! LOOK WHO IS GOING TO GET SUPERSTAR’S KAALA JEEP! 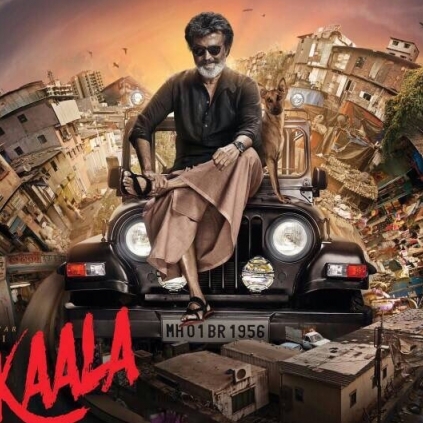 Rajinikanth’s Kaala posters have created the right kind of buzz and we had reported yesterday about the interest of industrialist and Executive Chairman of the Mahindra group, Anand Mahindra, in acquiring the Jeep shown in one of the posters of the film. He had tweeted, “When the legend @superstarrajini uses a car as a throne, it becomes a legend...#Thar”. There were also a few talks that the Jeep was photoshopped. But with Dhanush’s tweet, it looks like the Jeep is for real. What is going to be Sivakarthikeyan’s birthday gift for this budding actor? People looking for online information on Anand Mahindra, Dhanush, Kaala, Rajinikanth will find this news story useful.